As every real estate investor knows, nothing is more important than location when looking for any property. The old term “location, location, location” has been around for a long time and it continues to be one of the golden rules of real estate. After all, you can change everything except location. Of course, when you are buying a home for yourself, it is worth putting in the extra money to get the location you want. However, when you are investing in a property, you want to find a location that is up and coming—so that you can keep your overhead low put still benefit from being in a great neighborhood. This is why you want to find investment properties in up and coming neighborhoods and look for neighborhoods that are about to be hot. This can be difficult to determine, but here are a few signs that you are in a soon-to-be-hot neighborhood. There are Other “Flipped” Properties for Sale in the Market—Check your comps. If you see other flipped properties for sale in a neighborhood, then it is a good sign. You don’t want to be the first person to come in and start flipping, but you also don’t want to choose a neighborhood that has already turned and has an over-saturated number of flipped properties for sale. Trendy Businesses Are Moving In—If you see a Trader Joe’s, Starbucks, Whole Foods or other big, on-trend business moving into the neighborhood, then this is always a good sign. Big businesses often look to emerging areas when they want to find a new location. You See Lots of Popular Ride Share Programs—Do you see lots of scooters and bike rentals out and about in the neighborhood? This is a good sign that people not only like living in the area, but they also like staying in the area and feel safe biking or scooting around. Properties Aren’t Staying on the Market for Long—Even if there are a lot of flipped properties for sale in the market, that doesn’t mean the property is necessarily “up and coming.” Look at how long those properties are spending on the market. If a property is staying on the market for 90 days or longer, this isn’t a good sign. Look for neighborhoods where properties are moving quickly. There Are Hot Adjacent Neighborhoods—The best sign that a neighborhood is about to be hot and is about to be hot, is to look at the neighborhoods around it. A neighborhood can be up and coming, but if it is surrounded by dangerous or undeveloped neighborhoods, it is going to be really hard to sell properties in this area. You want to find an up-and-coming neighborhood that is surrounded by other hot neighborhoods to make a sound investment. 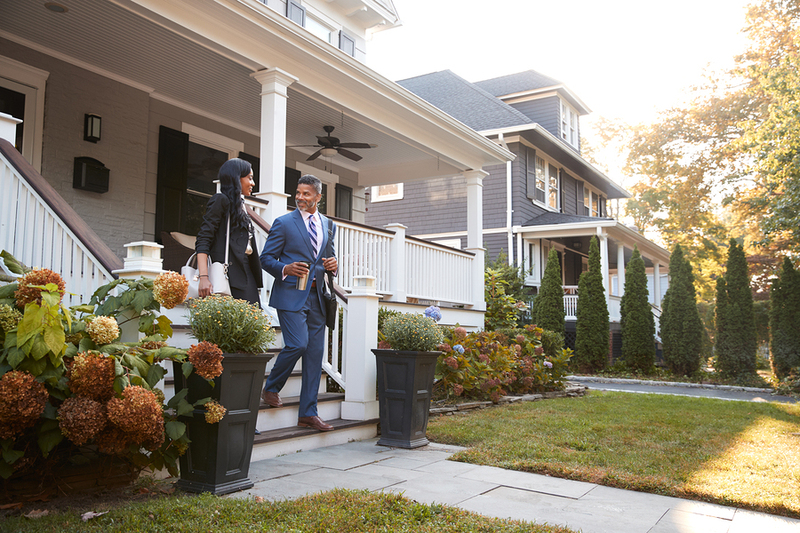 Keep these tell-tale signs in mind as you start looking for your next fix and flip property, so you can make sure that you are buying the right property for you and your financial future.